Learn about the levels, timing, and efficacy in performing due diligence and the role data privacy regulations play in how it is obtained and utilized. Enforcement authorities across the globe are placing an increased emphasis on the importance of establishing robust and risk-based third-party compliance programs. While the precise formulation and detail of the guidance issued varies there are key themes that are common. 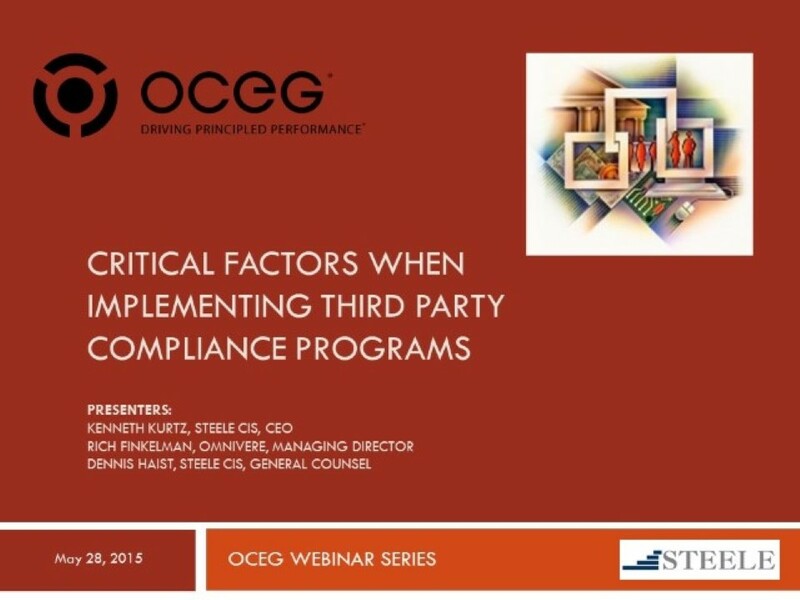 In this webinar you will learn strategies to follow when implementing a third-party compliance program, best practices for on-boarding third parties and conducting due diligence, and the role of data privacy.